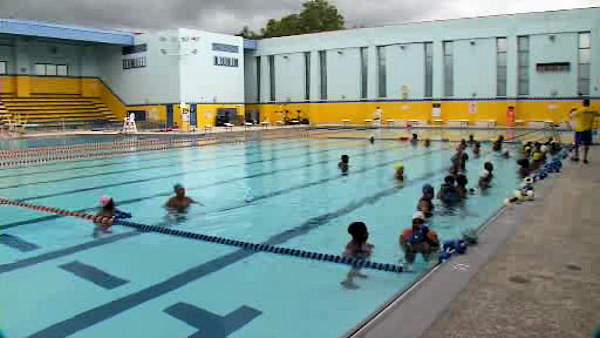 NEWARK, New Jersey (WABC) -- Newark Mayor Ras Baraka and the Newark Municipal Council announced Tuesday that the city's four outdoor swimming pools are now open for the summer season. "As a former educator, I understand the importance of ensuring that our youth have areas throughout the community that provide safe and constructed activities," Baraka said. "With the school year coming to an end, there is more idle time, and we need to guarantee that all of our youth in The City of Newark continue to go forward in the right path for success. The six pools -- four outdoor, one indoor, one indoor/outdoor -- all offer recreational swimming. Each pool closes for an hour each day to enable lifeguards to have lunch and allow for pool maintenance. Monday through Friday: 8:30 a.m. to 7:30 p.m.
Monday through Friday: 10:30 a.m. to 6:30 p.m.
Monday through Friday: 9:30 a.m. to 7:30 p.m.
Monday through Saturday: 9:30 a.m. to 5:30 p.m.
Monday through Friday: 7:30 a.m. to 7:30 p.m.
For more information, visit Newark's Recreation website.